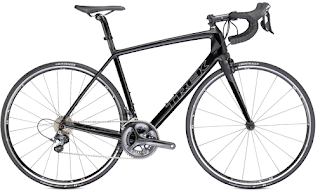 Scheller's bike shop (Lexington, Louisville, and Clarksville, IN locations) introduces the new 2013 Trek Dual Sport series. We are carrying the 8.1 and 8.3 models of this versatile bicycle. 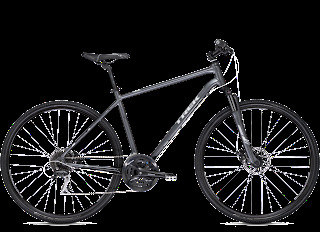 The Dual Sport is a light and nimble hybrid bicycle, speedy on the road and tough enough to make it over rough terrain. 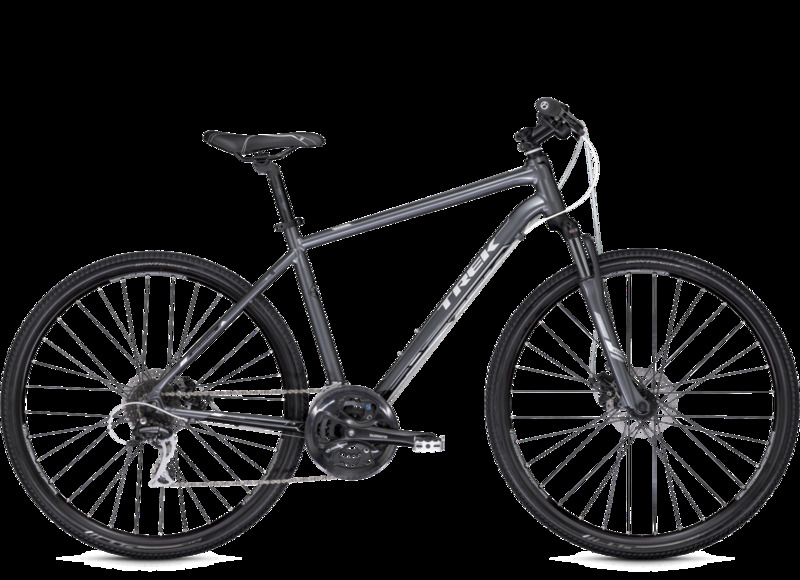 The 2013 DS attractively-styled bike has a generous tire clearance to accommodate chunky tires, a comfortable seat and ride position, great grip, SR Suntour NEX MLO front suspension with lockout mechanism, and Tektro Novela disc brakes. In short, this bike can take you where you want to go. 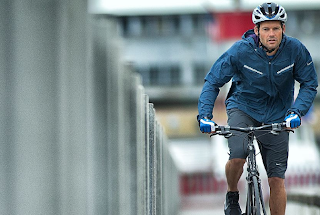 If you are the type of rider that wants to transition easily from your morning work commute, to some recreational trail-riding, to running weekend errands, this is a bike gives you everything you need. This bike is priced in the mid-range making it a great option for someone who desires quality and versatility in one bicycle for under $700.